Oxygenating cream intended for young skin, for special care of sensitive, normal and combination skin prone to shine. 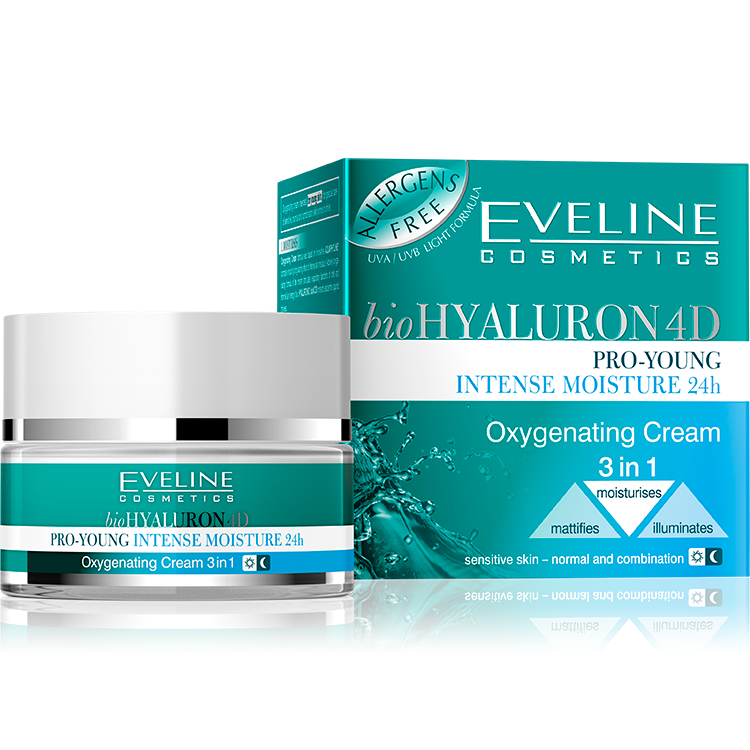 Oxygenating cream formula was based on innovative AQUAPHYLINE® complex ensuring long-lasting effect of intense skin moisture. Actively oxygenating formula of the cream stimulates respiratory functions of cells and intercellular energy flow. HYALURONIC bioACID protects epidermis against dryness. MATT ACTIVETM complex ensures long-lasting mattifying effect in skin parts exposed to excess shine (forehead, nose, chin). ARGAN bioOIL immediately illuminates skin and evens out its tone.